Powell’s Cove Pump Station - Queens, N.Y. 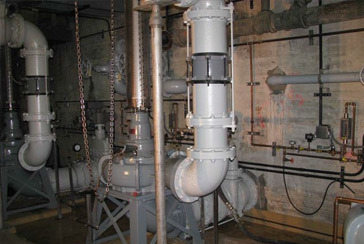 The scope of work included replacement of influent pumps requiring temporary pump around system and this work being performed during low flow conditions with no predicted precipitation and coordination with plant operators. Modifications also included; new seal water system with pumps, tanks and associated equipment, replacement of mechanical bar screen and removable grinder in the influent channel. Existing wet well was modified by construction a new concrete wall to provide isolation. The pump station upgrade included new electrical work and motor control center and instrumentation for automatic control of the station.